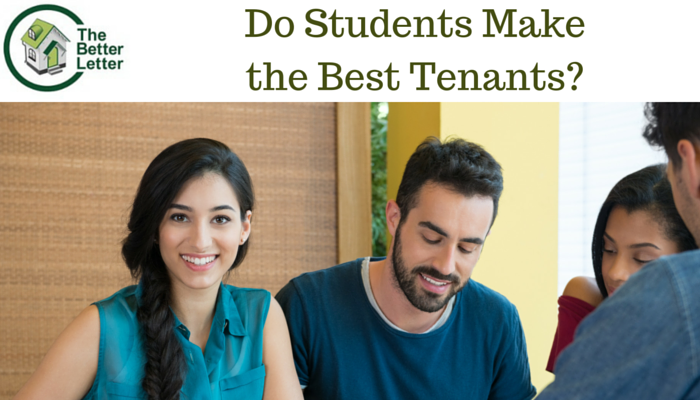 Do Students Make the Best Tenants? As research reveals that students can be the lowest risk tenants, is it time to consider student property investment? According to recent research (and contrary to popular myth! ), students are among the lowest risk tenants, with only 9.6% of insurance claims coming from student properties. Further research from the National Landlord Association (NLA) has found that students are the least likely to skip rent and offer the highest yields. Student properties also have the lowest void periods and with parents often acting as guarantors, are an extremely low risk investment. And with the property often empty for the summer (but rent adjusted to reflect this), there is plenty of opportunity to carry out necessary maintenance and repairs without an impact on your rental periods. So is it time that you started thinking about broadening your property portfolio to include student properties? With the coming changes to rules on Stamp duty and taxation, many landlords are looking to broaden their portfolios and maximise their yields and student accommodation offers the opportunity to do this at a low risk. Some student rentals - particularly self-contained studios within purpose built student accommodation - may even fall under the £40,000 threshold of the new Stamp Duty laws. With the boom in demand for student accommodation across the UK, it also offers an opportunity to landlords who are willing to expand their property portfolio outside of their own area. Just in Oxfordshire there are obviously the Oxford colleges and Oxford Brookes, but landlords are also within easy reach of Universities and University Colleges in Gloucestershire, Warwickshire, Buckinghamshire and Berkshire. So what are the main considerations before investing in student accommodation? Student houses sustain a high rate of wear and tear, and tend to be in cheaper areas that do not experience high asset growth. Investors in this sector are looking for the higher annual yield (6.7% compared to an UK average of 6.1%), rather than a capital return. As your property will be empty for large stretches of the year – not just over the summer, but possibly for weeks at a time over Christmas and Easter too – you need to take into account the higher insurance costs and higher need for security. When you become a student landlord, you more than likely become an HMO landlord at the same time, with all the additional regulation that entails. If you buy a property that is already converted to student accommodation, this will reduce your upfront costs in terms of adapting the property to meet HMO licensing standards. If not, be prepared to invest in the property before you see a substantial return and make sure you investigate thoroughly the HMO licensing situation in your chosen area. Helping young people to make their first move away from home can be demanding and rewarding, so make sure it’s for you before you invest and you can be a Better Letter! This can come about through long term agreements or - more often - tenants renewing every twelve months. The changes are happening as more families rent, bringing stable tenants, who wish to settle in one area, into the sector. Children settle in local schools, families put down roots and they are looking for houses that they can make their homes. So with the government considering new legislation to make long-term tenancies easier to contract, what are the advantages of a long-term tenancy for the landlord? One of the biggest costs to PRS landlords is covering the mortgage, council tax and utilities in the void periods between one tenant leaving and finding the next – particularly if there is redecoration, cleaning and/or repair work necessary before the property can be shown and let again. If you can attract tenants who are actively looking for stability in their tenure, by offering longer tenancy agreements, then it’s highly likely your property will be in full occupation for longer. Although your monthly income from a long-term let might be slightly lower over time (as long-term tenants will often want to have predictable rent increases too), the aforementioned reduction in void periods should balance this out. Work out how many months it would take you to recover a two-three month void period, by increasing the monthly rent you charge and you’ll soon see the advantages of long-term lets! With a good tenant (well vetted by your agent! ), who is invested in staying long-term, your property should be in good hands. Settled tenants – particularly families with children – tend to treat a property more as if it were their own, taking care of maintenance and minor repairs and making it a comfortable and welcoming place for themselves and their family. Although regular inspections are still advised (particularly in the first year), these should be more to give your tenants an opportunity to flag up any minor issues before they become major problems and to get to know who’s living in your property. With tenants who are staying for a number of years, it’s well worth getting to know them. Building good relationships with your tenants encourages care of your property and reassures them that their care will be reciprocated with prompt and appropriate response to maintenance issues. Many homeowners do not welcome the arrival of renters in their neighbourhood – they fear the instability of neighbours who move on regularly, with no investment in good neighbour relations or in maintaining the outward appearance of their property. Renters can be seen as a threat to community cohesion and to property prices! But knowing that tenants are staying for the long-term, neighbours can feel reassured that ‘the renters’ will be invested in the community and in their home. And good neighbours can be an invaluable extra set of eyes on your property, keeping you up to date if there are any problems! 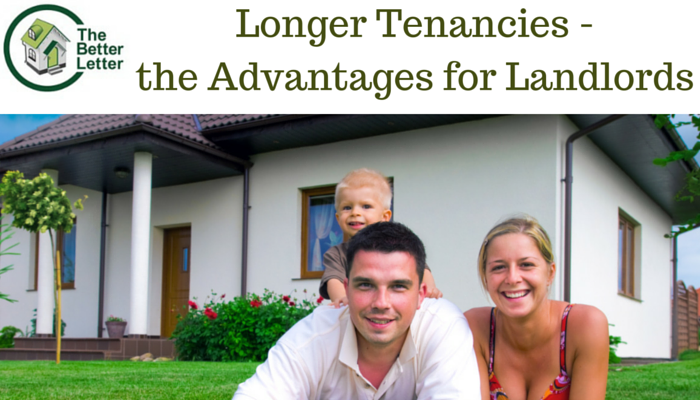 So offering long-term tenancy agreements may be part of your path to becoming a Better Letter. Are all Oxford’s Private Landlords to be Licensed? 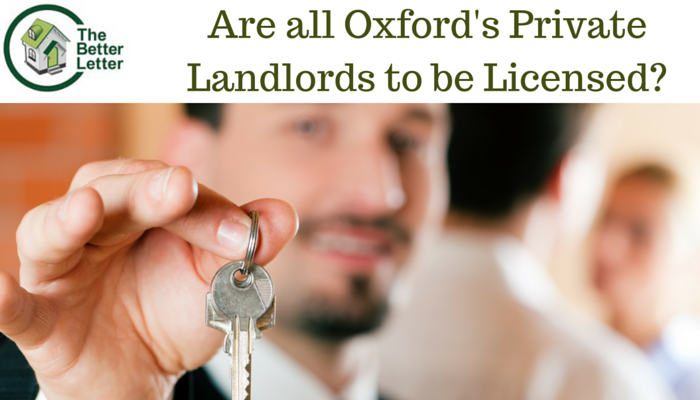 Will all Oxford PRS landlords now need licensing? With the recent announcement from Oxford City Council that it wishes to extend its current licensing scheme from HMO landlords to all private landlords, what would this mean in practice? Currently HMO landlords are held to more stringent standards of safety than their regular counterparts. Licensing also means they are more subject to checks and inspections. Although it’s unlikely that every property (over 10,000 of them!) would be inspected before being licensed, there would be a greater expectation that landlords carry out both mandatory and recommended safety checks, and are prepared to provide proof that the checks have been carried out. Although, in theory, tenants can currently complain to the council if their landlord refuses to carry out essential repairs or maintenance work, many are afraid of the repercussions and a minority of bad landlords are getting away with letting substandard and even dangerous properties. With the likelihood of spot inspections and the possibility of being banned from letting property in Oxford, rogue landlords may be forced to improve or face being squeezed out of the local lettings market. But will there be an increase in costs? More than likely, there will be a charge to be licensed. But under the current HMO licensing scheme, OCC recognises good landlords by reducing their fees. At the Better Letter, we welcome every move to drive out the minority of ‘Rogue Landlords’ that give the rest of us a bad name, and help all of us to be Better Letters! The Association of Independent Inventory Clerks (AIIC) has declared February the best time of year to carry out mid-tenancy inspections – their reasoning is that it is now that the problem of condensation mould most often starts to rear its head and landlords can tackle it swiftly with advice to tenants on good ventilation practices, or carrying out external repairs. If there’s been any significant damage to fixtures or fittings, getting it seen to now can save you valuable time in making the place ready to rent again during any void periods. Tenants can be reluctant to ‘bother’ you, and leave minor maintenance issues until they become serious problems. Stop disasters before they start – ask your tenants if there are any minor niggles or worries they have. Have a look in attics, basements or sheds for any problems that your tenants might not yet have become aware of. This will also help you to build a good relationship with your tenant, encouraging them to take good care of the property and contact you promptly if there are any problems. Even if the evidence has been carefully hidden away in advance of your visit, trust your sense of smell to let you know if tenants have been smoking, keeping pets (or even growing cannabis!) in contradiction of the terms of their tenancy agreement. In the case of cannabis farming, this is not only illegal, but can cause massive damage to your property as unsavoury tenants install makeshift vents, gouge holes in walls and litter compost inside the property. It’s also another good reason to check the attics. 4. Make sure you know who is living there! With an increase in unauthorised subletting, or landlords even finding out their property has been put on AirBnB (! ), make sure that the person living there is the person you let to. Talk to the neighbours, as they will often know who is there regularly (and not just on inspection days). It’s always good to keep on terms with the neighbours as a matter of course, and let them know to contact you if the tenants causes any problems or nuisance. As of last October, it is your responsibility as a landlord to equip your property with working smoke alarms (and carbon monoxide alarms, where appropriate), and to ensure they are still working with periodic checks. You can download our free guide for more information on current regulations on smoke and carbon monoxide alarms for private landlords. So while you’re in the property, check that they are working and that your tenants haven’t had any problems with excessive beeping. Check also that fire blankets and extinguishers are still in their appropriate place (and not hidden in a dark, hardly accessible cupboard by a tenant making room for their china collection or Michael Bublé posters). 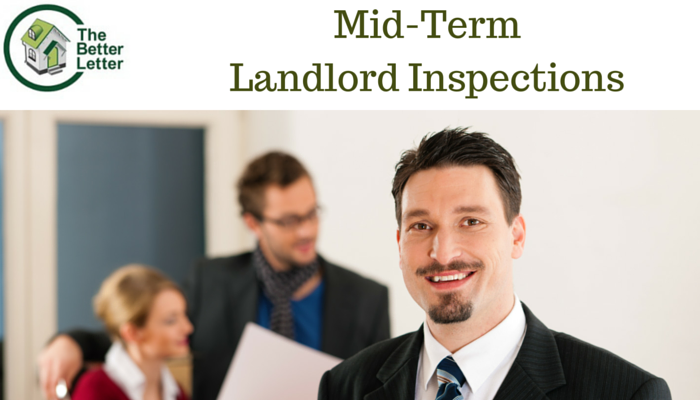 Make your inspections an opportunity to maintain your property, to get to know your tenants, and to make them feel taken care of, and you will be a Better Letter! 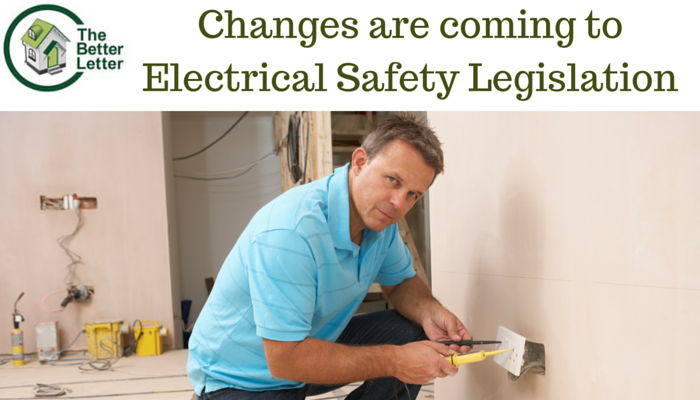 Will England and Wales see changes in electrical safety legislation similar to those introduced in Scotland recently? Private landlords across the UK have long been responsible for the safety of their tenants. A private landlord can be found liable if a tenant is injured due to faulty electrical installation or equipment. But, unlike your annual Gas Safety Inspections, regular Electrical Safety Inspections have been recommended, rather than mandatory. In December 2015, all this changed for landlords in Scotland. Now all landlords must provide an Electrical Installation Condition Report for all new electrical fixtures and fittings, and then must have an inspection every five years (regardless of whether new work has been carried out in that time). It is highly likely that similar legislation will soon be enforced across the UK, so what can a responsible landlord do to keep ahead of the game? This is currently a legal requirement across the UK (it is only the five-yearly inspections that are mandatory just in Scotland). Always remember that, while you can delegate the arrangement of works to your letting agent, you as the landlord are legally responsible for checking it is carried out. Again, regular Portable Appliance Testing (electrical safety testing for all your white good and free standing appliances) is recommended, but not mandatory. Most good landlords will have their appliances PAT tested annually. Should the worst happen and a tenant is injured by a faulty electrical appliance, having had the PAT tests done regularly can protect you from liability claims. Should a tenant raise concerns before your regular checks are due, do make sure you respond swiftly to protect your tenants, your property and to protect yourself from claims under the Consumer Protection Act (for letting an unsafe property). So don’t wait for the worst to happen. Give yourself peace of mind and your tenants a safe and well maintained property – and be a Better Letter! Landlords – are you ready for ‘Right to Rent’ on February 1st? Letting Agent Review Sites – Nightmare or Opportunity? Property Investment: Holiday Home or Buy to Let?